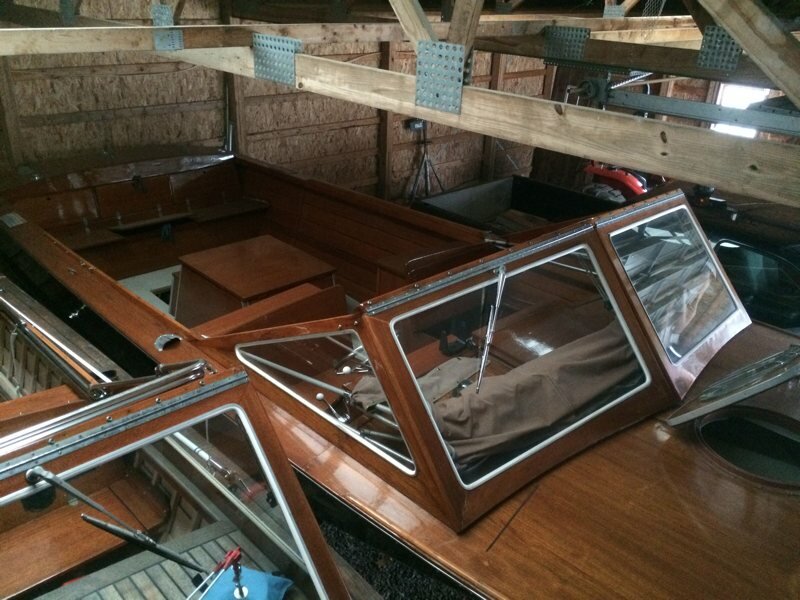 rebuilding is well underway with all new framing from the bulkhead aft, new floor timbers, new deck framing with a fiberglassed, plywood sub-deck installed. 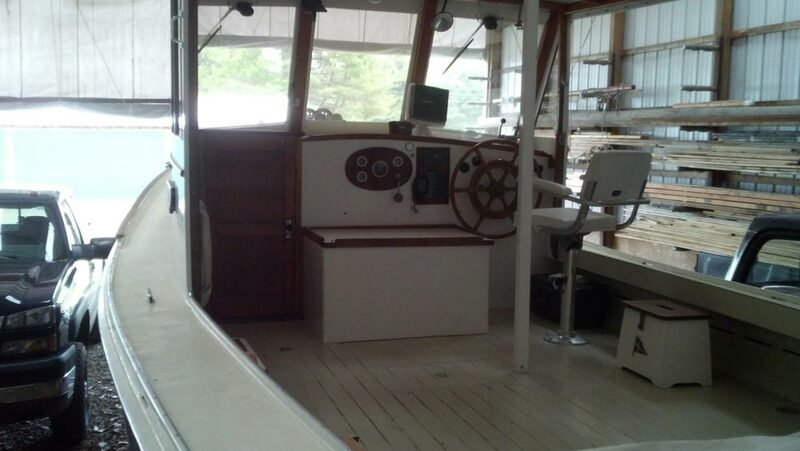 The interior is mostly refinished. Available to be finished to your personal specifications. 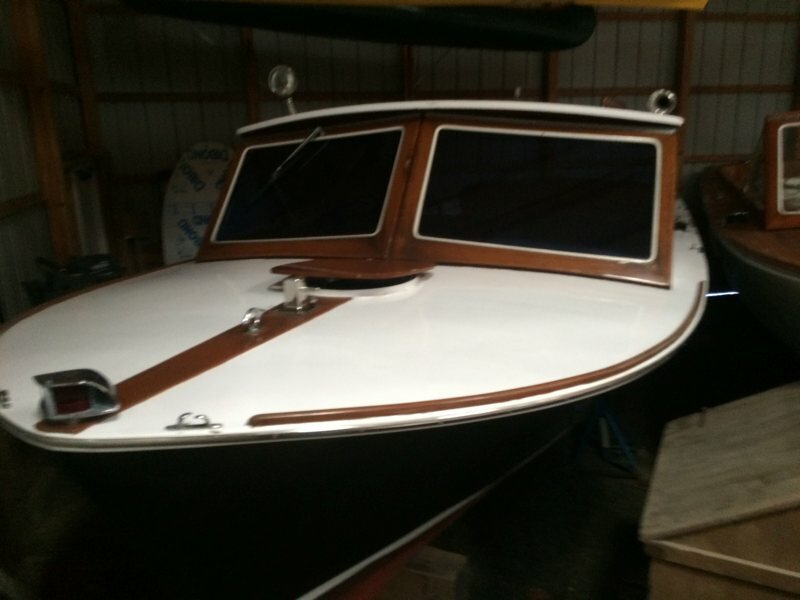 1970 30’ Lyman Sportsman "Turbulence"
Complete restoration in 2004 by Edgecomb Boat Works including: New deck and framing; ½” teak over ½” plywood. 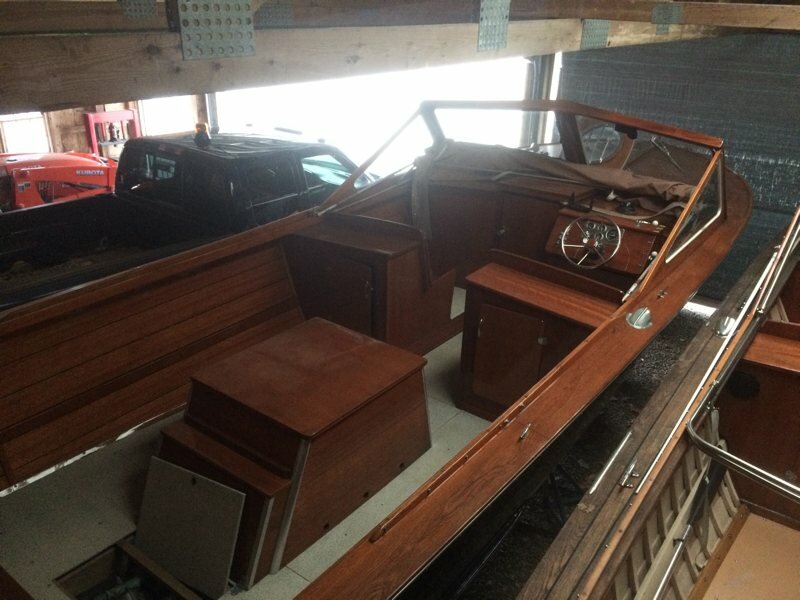 Most of interior replaced. Teak and holly plywood sole. Some new bottom planking. 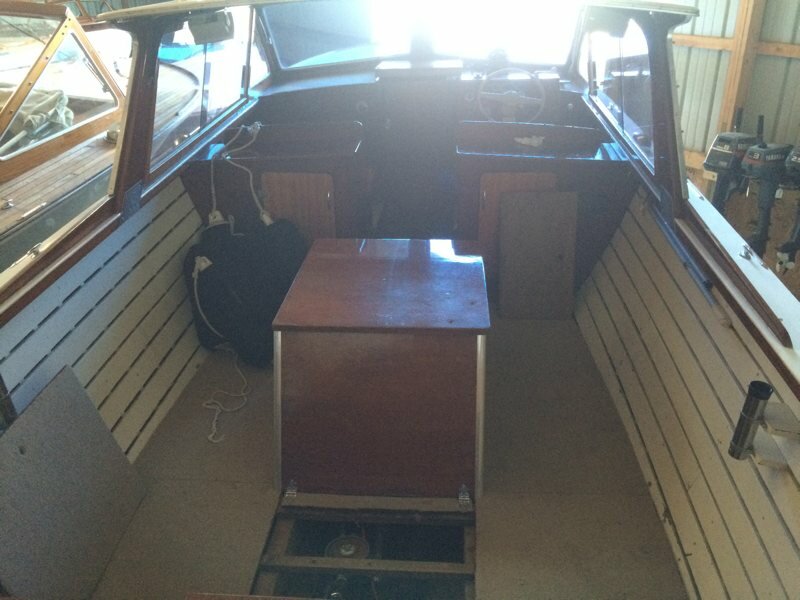 Frame ends replaced from amidships forward. New shaft log on starboard side. New skeg. Strut and rudder mounting structures completely redone with much heavier and stronger components. 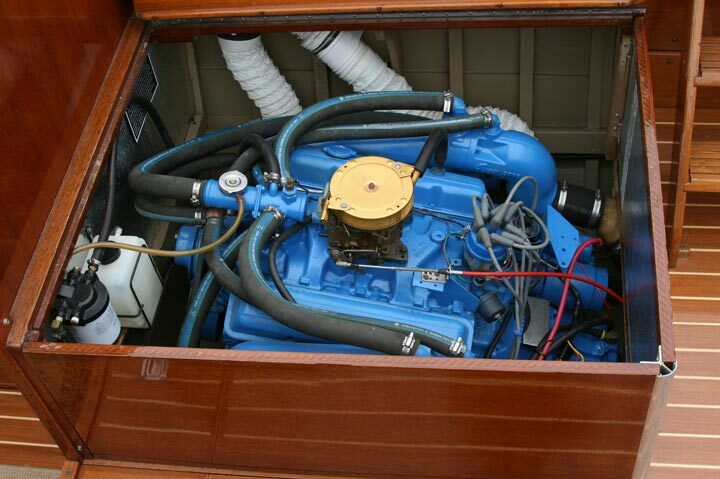 Fresh water cooled Crusader engines rebuilt with all new internals in the blocks (327 ci. ), new heads, intake manifolds, carburetors, electronic distributors and new heat exchangers. Reverse gears also rebuilt. New fuel tank of 120 gallons. New propellers and shafts. New cutless bearings. Spurs line cutters. 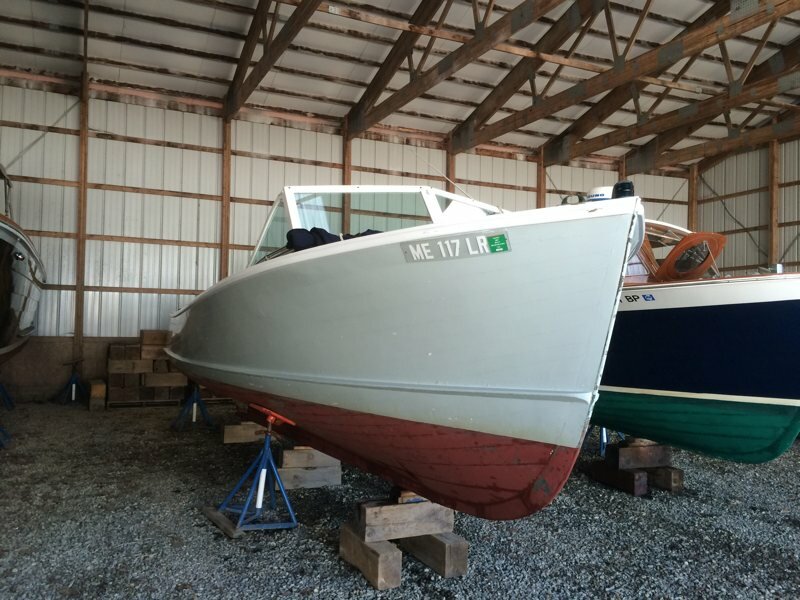 New stuffing boxes on shafts and rudders. Hydraulic steering. Complete new 12v and 110v electrical system done to A.B.Y.C. standards. Two starting batteries and 8d house battery. Charles 3 bank/30 amp charger. Guest charging isolator. Galvanic isolator. Blue Seas breaker panels. Tundra AC/DC, 3.8cf refrigerator / freezer. Single burner propane cook top with tank installed in vapor proof container with overboard vent. Pressure water with two water tanks, 50 gallon capacity. Porta potti with 6.5 gal holding tank with deck pump out. Custom teak swim platform. Lewmar anchor windlass with 25lb. plow anchor including 15’ of chain and 150’ rope. Standard/Horizon VHF radio. Hand held spot light. Complete set of cushions and canvas made with Sunbrella all in excellent condition. 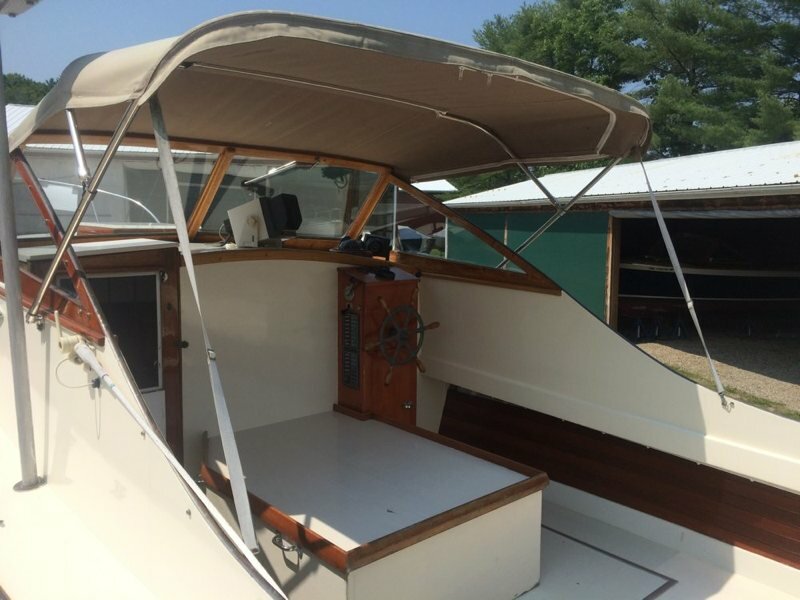 Canvas includes: top, isinglass side curtains, mosquito screen side curtains, cockpit cover, drop curtain at back of top with center zipper and isinglass windows. 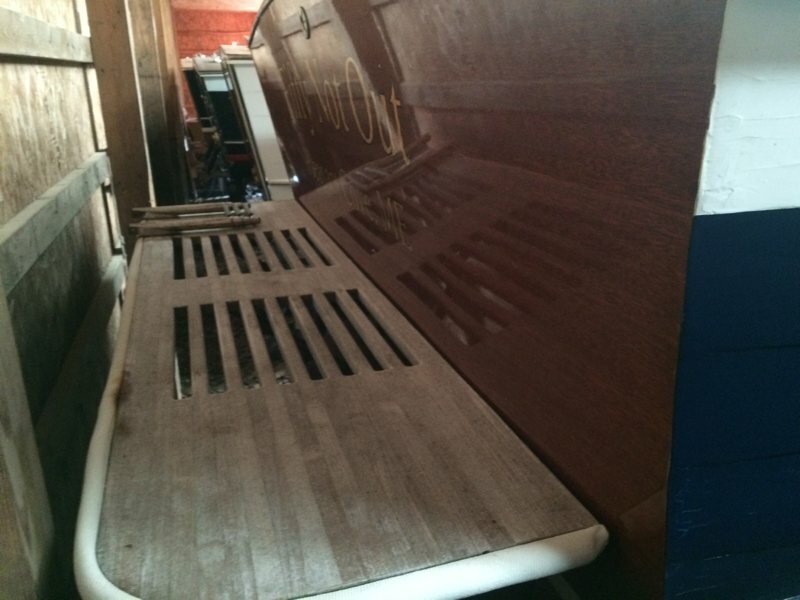 All original deck hardware re-chromed. 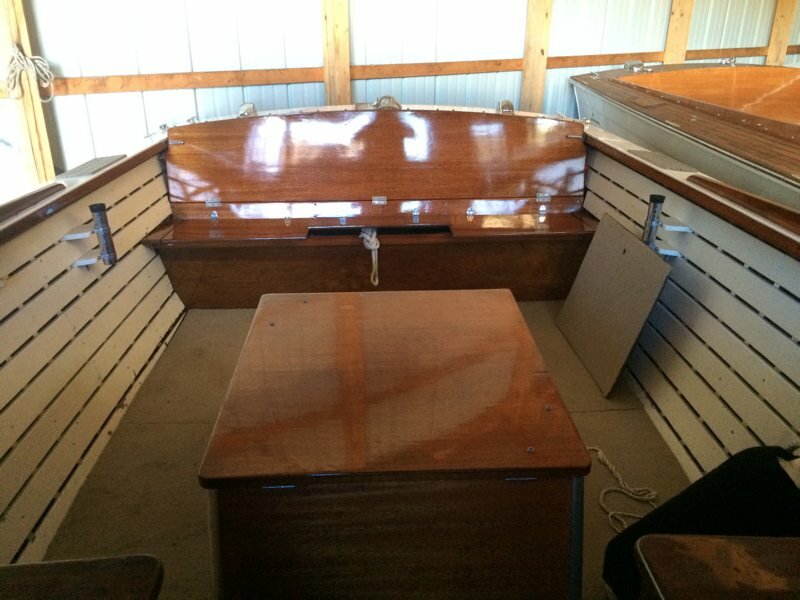 Complete with safety equipment, dock lines and fenders and 30 amp shore power cord. 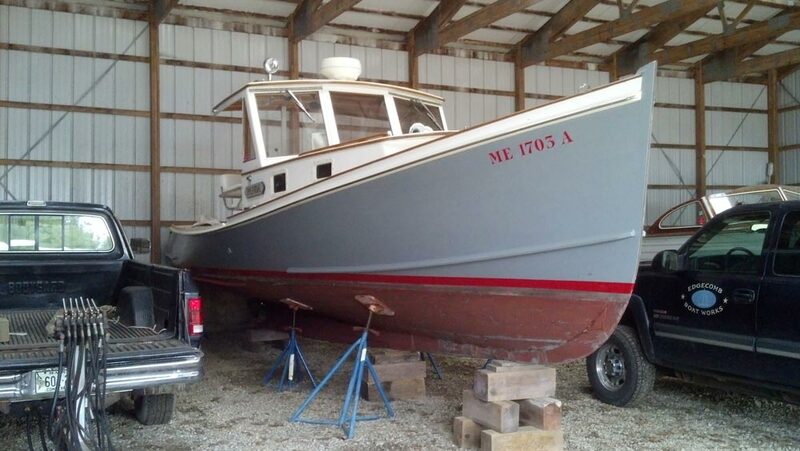 This boat is the finest 30’ Sportsman ever available with all work done to A.B.Y.C and U.S Coast Guard standards. 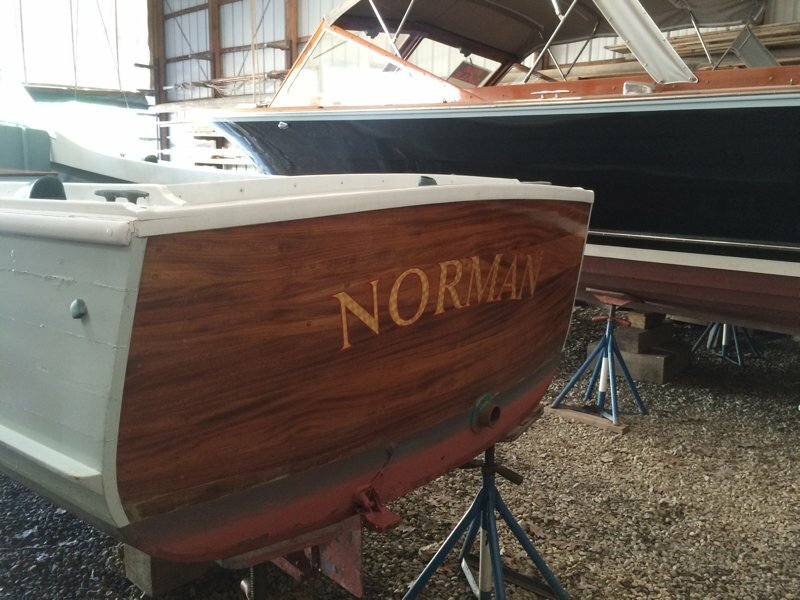 All brightwork has had three or more recent coats of varnish. 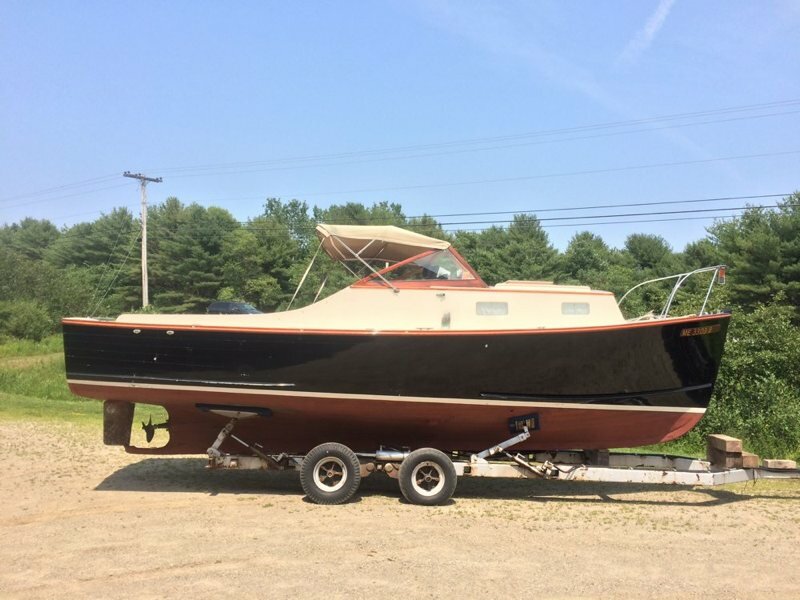 Fresh topside and bottom paint. 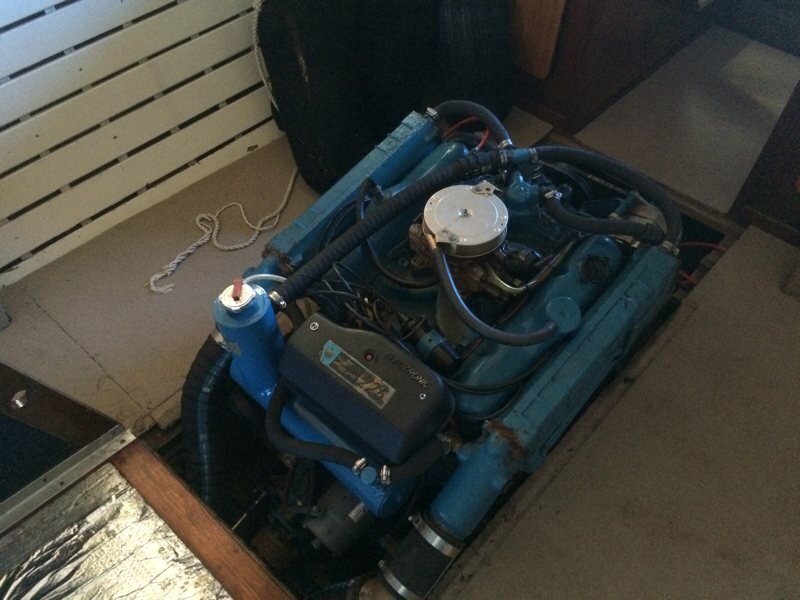 Fresh bilge and engine paint. Ready to launch. 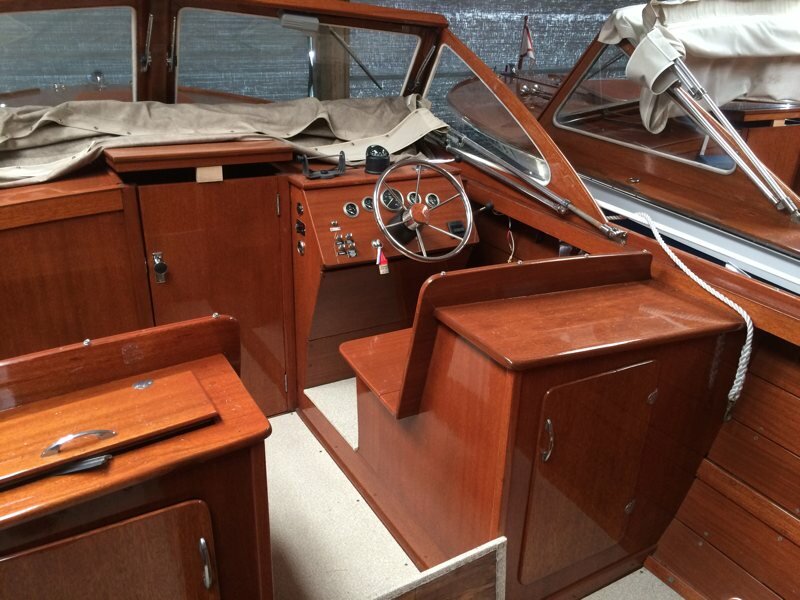 Well maintained and powered with a strong running Chrysler 318. 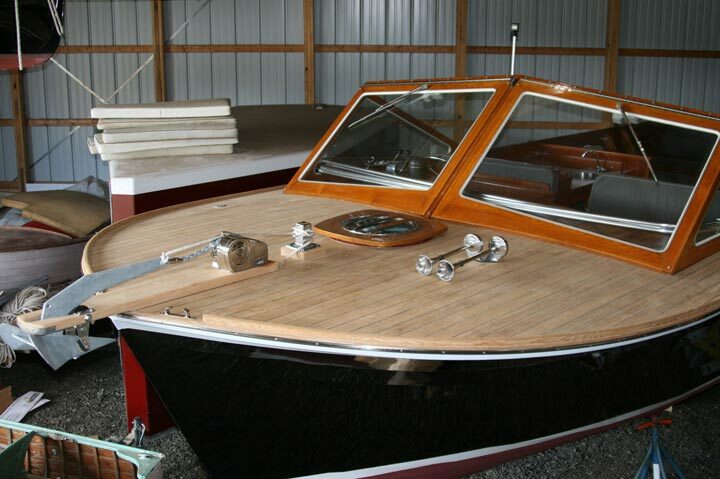 'Recess' is a beautiful example of an early picnic boat. 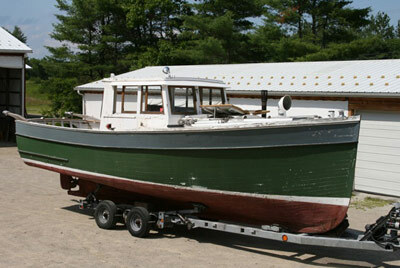 Designed and built by 'Sonny' Hodgdon in East Boothbay, ME. 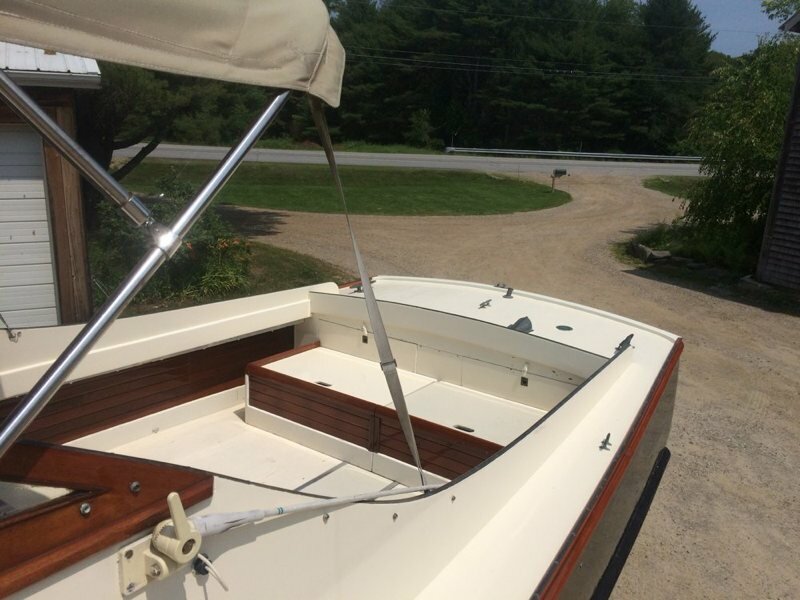 Built in Boothbay Harbor, this classic runabout had a significant bottom restoration done in 2012 including a new sternpost, shaft log, garboard planks and shaft & rudder stuffing boxes. 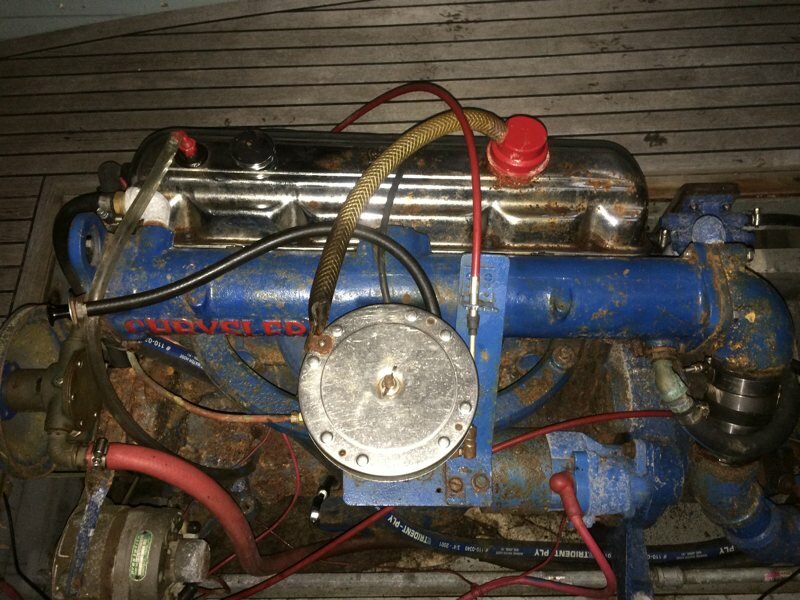 Powered with a Slant 6 Chrysler with new carburetor in 2014 and a new exhaust manifold and timing cover in 2015. 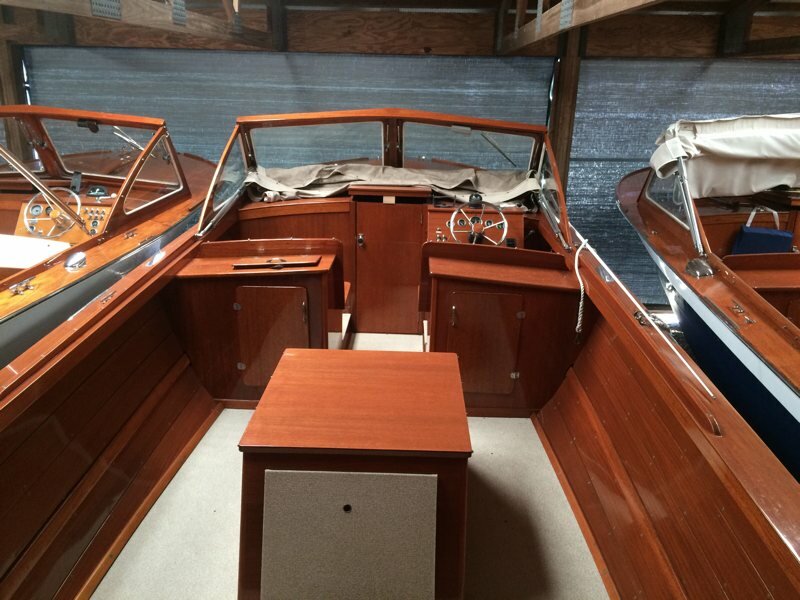 1966 Lyman 25' Hardtop "Holiday"
A good solid, safe fun boat with a hard top for foul weather protection. 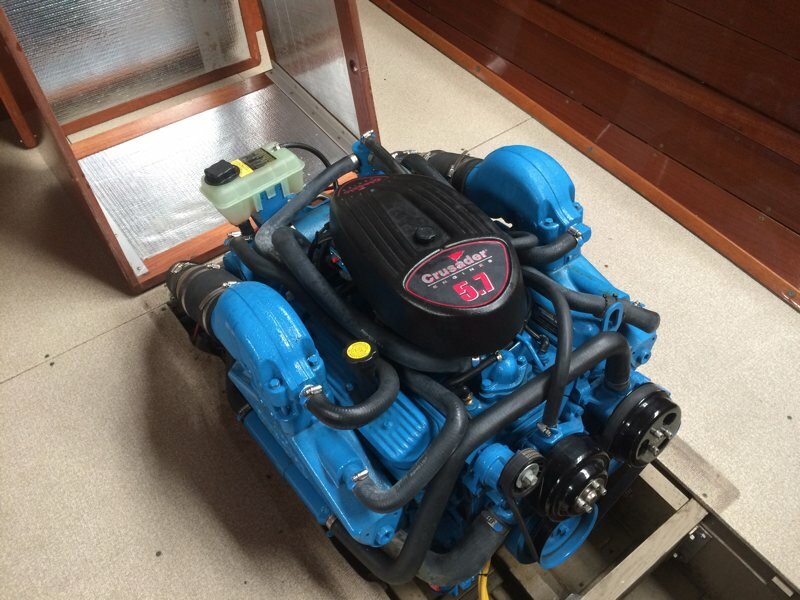 Powered by a rebuilt (2010) fresh water cooled Chrysler 318 with 471 hours. 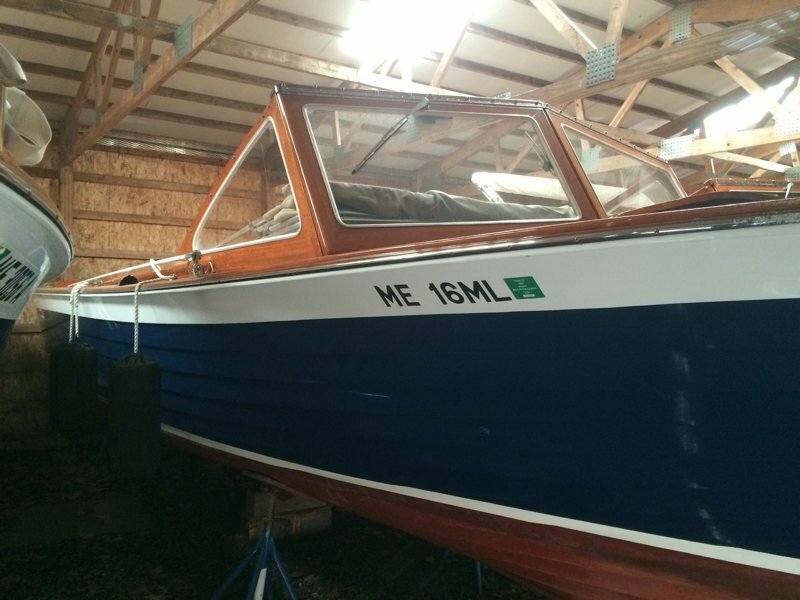 She has been religiously maintained by Edgecomb Boats Works for the past 2+ decades. 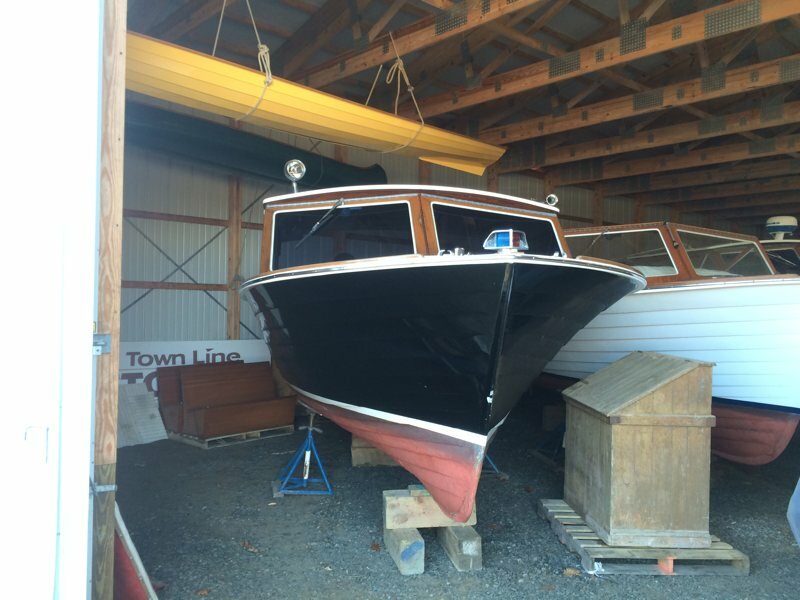 She requires very limited varnishing due to the painted fiberglass deck. Includes recently replaced SUNBRELLA cushions and matching cover. 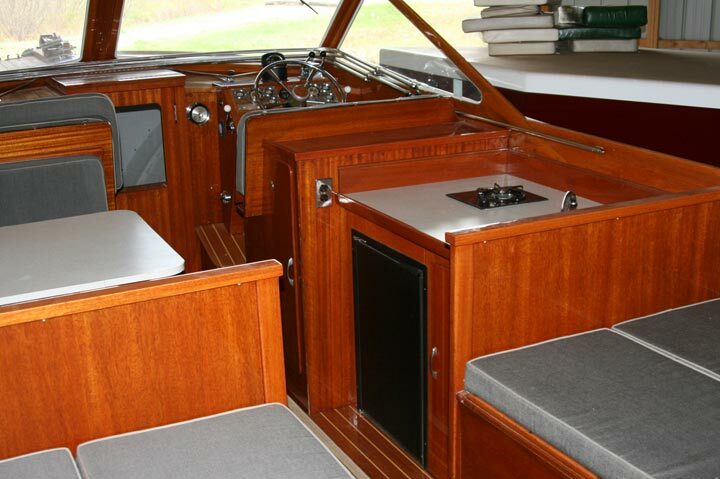 Cuddy, porti-potty, intake strainer, VHF radio, marine stereo, Depth Finder, Garmin GPS. 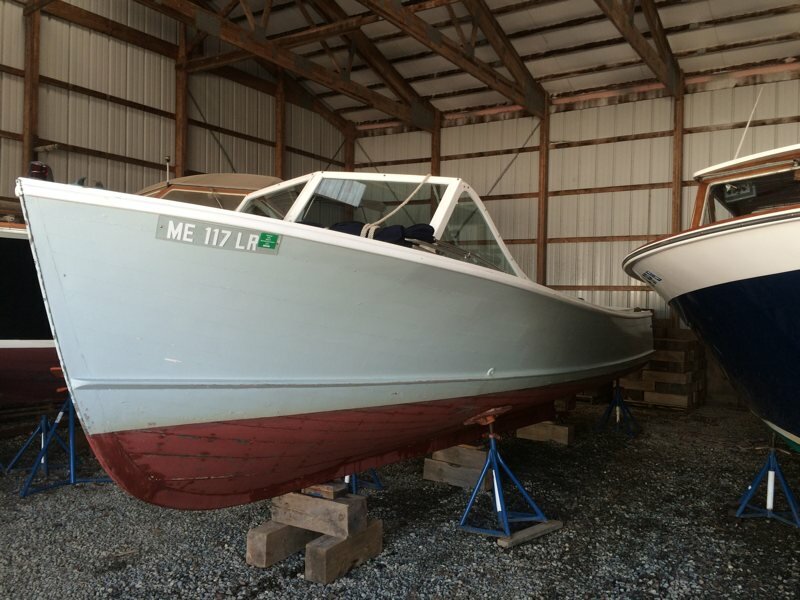 1965 Lyman 25' "We Are"
Repowered in 2010 with a Crusader 350. 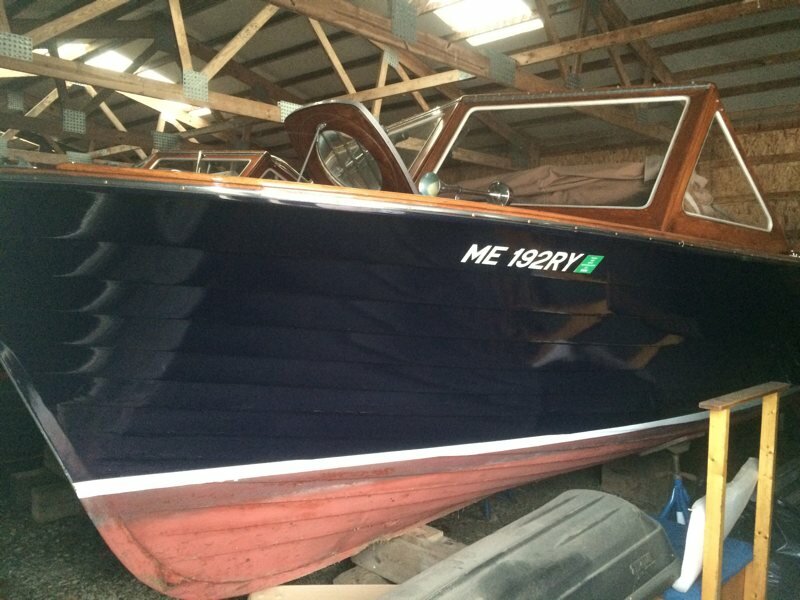 Very extensive cosmetic restoration in 2011. 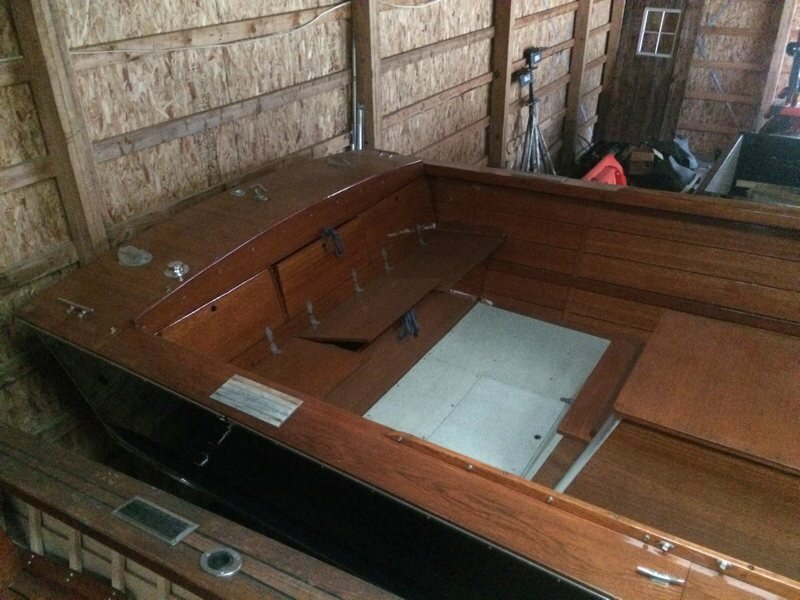 Only two seasons in the sun after restoration, still in great shape. Very low engine hours. 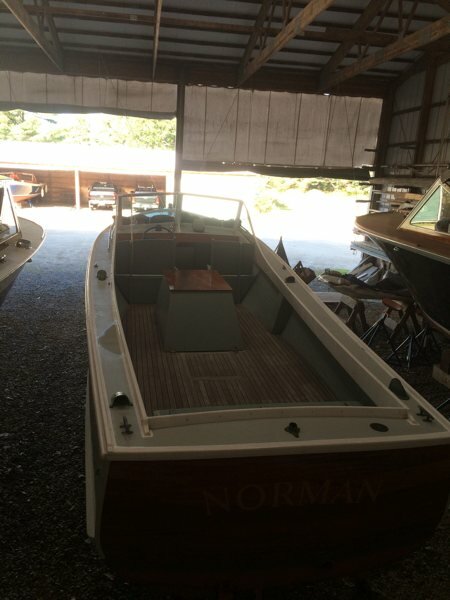 1964 Lyman 25' "Fifty Not Out"
Major restoration in 2008 including a repower with a 350 Crusader. 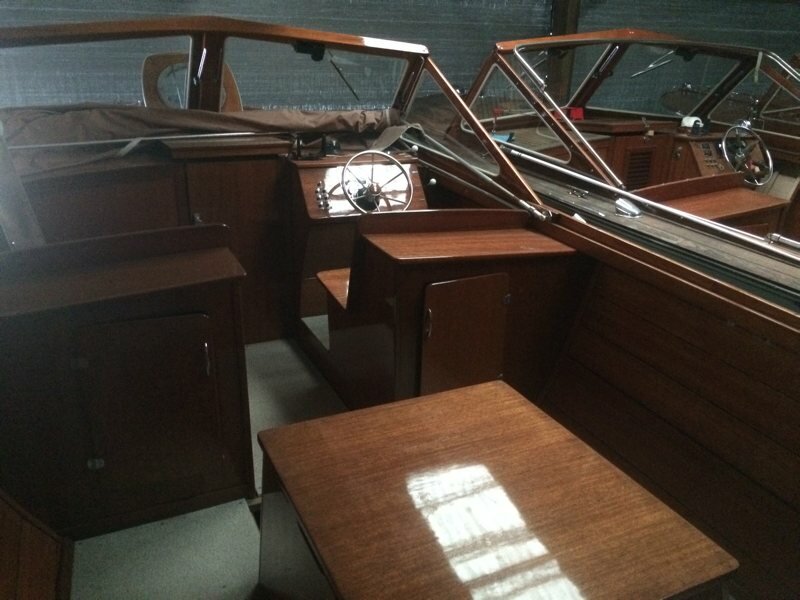 This boat is in great shape throughout with full canvas enclosure, hydraulic steering and a teak swim platform. 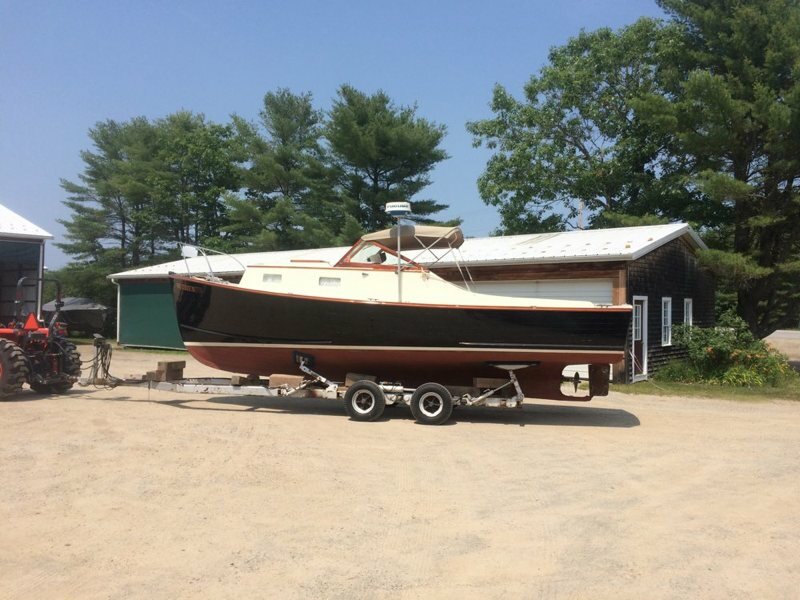 Beal's Island 32. Built in 1960 by Willis Beal. 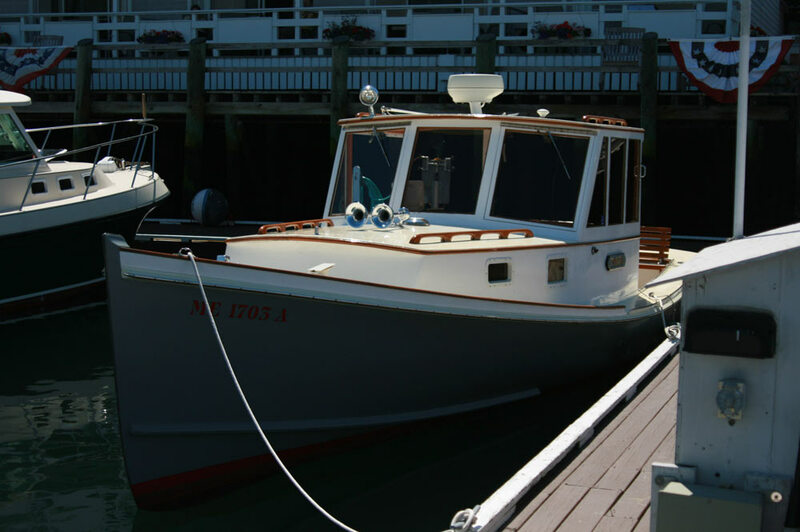 Well maintained and powered with a strong running 454 gas engine. 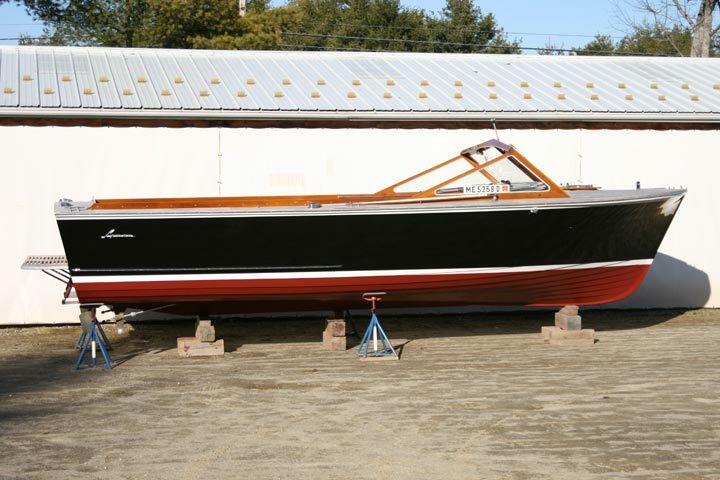 ‘Panda’ is a true beauty with her classic Downeast lines and well cared for paint and varnish work.